Chef Robert Irvine visits Sullivan's Grill in Fruita, Colorado and meets owner Gilly who is on the verge of bankruptcy and had recently lost her husband. The restaurant and kitchen was in a terrible state and in desperate need of a revamp. There was confusion surrounding the direction of the business and the theme of the restaurant. They inherited a Mexican menu when they bought the restaurant and kept some of the original menu items, whilst also adding new Irish themed dishes. Gilly was working 80 hours a week to keep the restaurant in business and corners had been cut, some of the food was canned or pre-prepared and they were making a loss on their coffee sales. They were famed for their green chilli's but their chilli was watery. The restaurant was given a huge makeover and the menu was improved. With the loss of her husband and the improvement in business, Ginny decided to close and sell the business in January 2012. 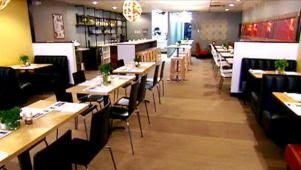 This episode was episode 17 of season 2 and was aired on January 04 2012, there were 18 episodes in season 2 aired between July 2011 and January 2012 and the closure rate for Restaurant Impossible Season 2 currently stands at 67%.